Among the sharpest looking earlier sets, the Ski Patrol (7531) and Mountain Troops (7530) accessories must have been extremely popular judging by the frequency with which they show up in footlockers. The figure above combines the two sets for a fully outfitted winter soldier. 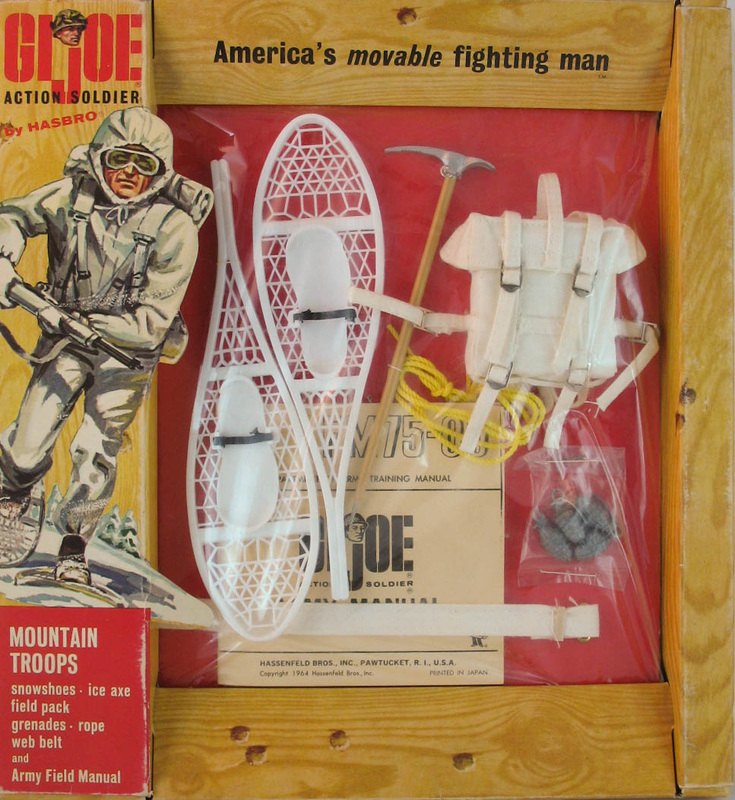 The Ski Patrol large window box (above) and the smaller Mountain Troops window box (below) featured great graphics. The way the die cut edges seem to pop off the packages really gave GI Joe's packaging strong appeal. 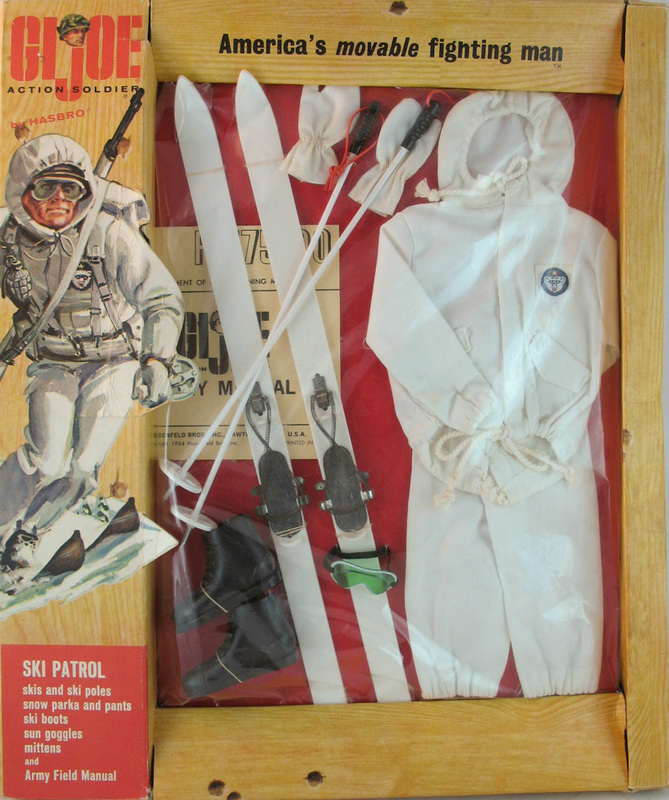 The design for the skis was borrowed from Ideal's Tammy doll, whose skis showed up in a 1962 set called "Snow Bunny." The Ski Patrol helmet set (7527, left) and a Snow Troops card (7529, right) were sold separately. Below, an original US military Alaska command patch that Hasbro copied for the set's uniform & helmet. 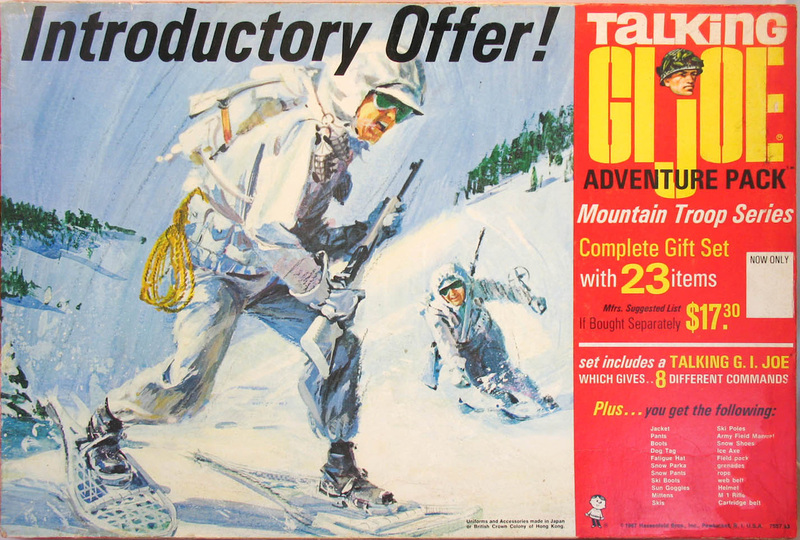 In 1967 the Ski patrol and Mountain Troops sets along with the helmet card were sold a s a Special Value set. 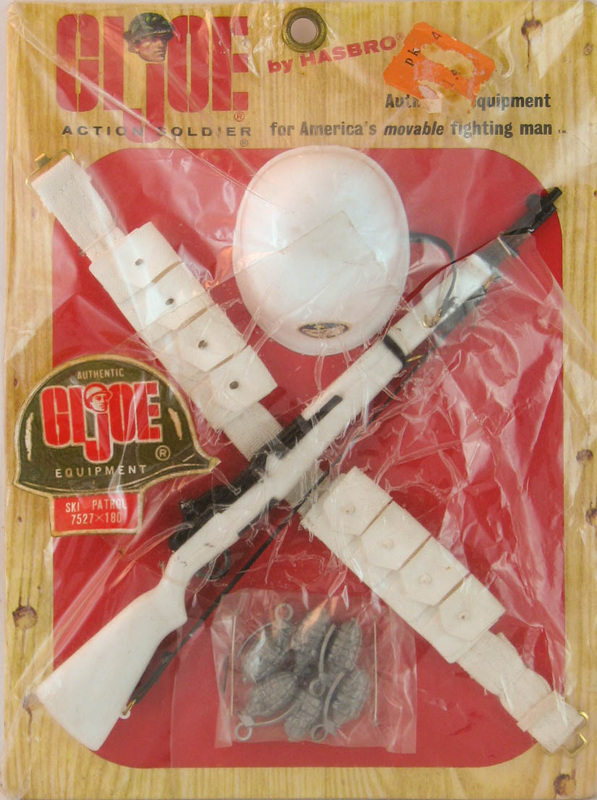 These introduced the Talking GI Joes and sold overstock at the same time. Read more about the set here. 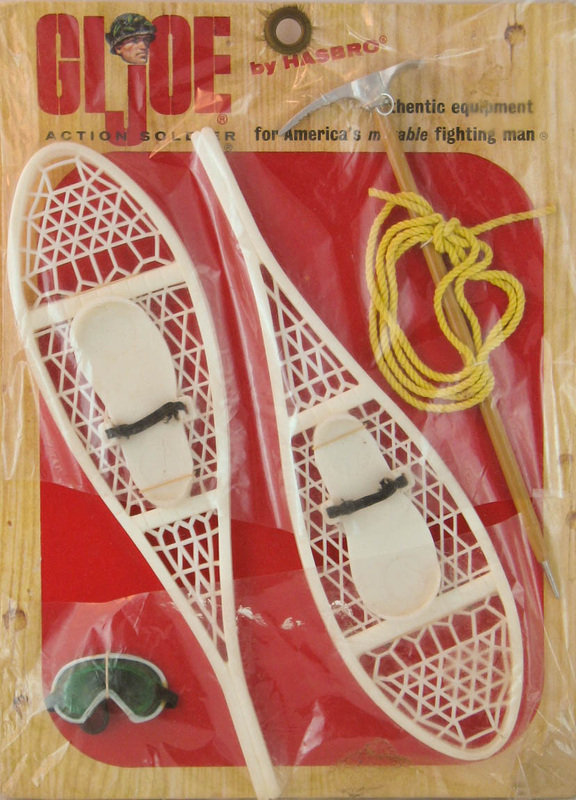 The Canadian 1967 Sears Simpsons Christmas catalog advertises a Ski Patrol gift set with accessories similar to the Mountie gift set. Has anyone out there ever found one of these in the box? If you know of one, please contact me!